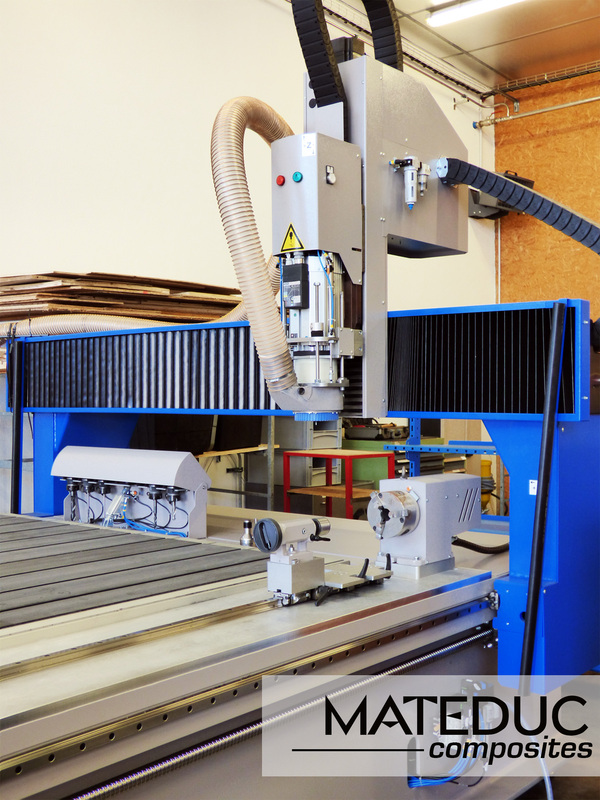 MATEDUC Composites has the know-how and specific skills in the machining process of composite products. We realize all kinds of machining operations, we can cut, drill and mil composite plates and tubes with 3 CNC machines (4th axis equipment). We realize all kinds of CN machining in our custom plates from DXF (2D) or STEP (3D) plans.